The idea of a roof replacement project could be truly intimidating. There are many factors involved to the point that you’d rather not talk about it. To make this less of a burden for our Tulsa OK readers, we’ve prepared a list of must-ask insurance roof replacement questions that you can think about this early on. What Are The Most Important Insurance Roof Replacement Questions? Let’s identify the insurance roof replacement questions that you need to address so that you wouldn’t have a hard time in the future. Knowing the basics now will help make the process bearable when the right time comes. Does your existing roof insurance cover replacements? To successfully file for an insurance claim (in the future), you have to make sure that your policy covers roof replacements. A typical roofing insurance would cover replacements that are due to what we call ‘acts of nature’. These are natural calamities that threaten the life of your roofs including tornadoes, hailstorms, hurricanes, etc. However, you have to be clear about the coverage as some insurance companies may only provide partial replacement of the roof. 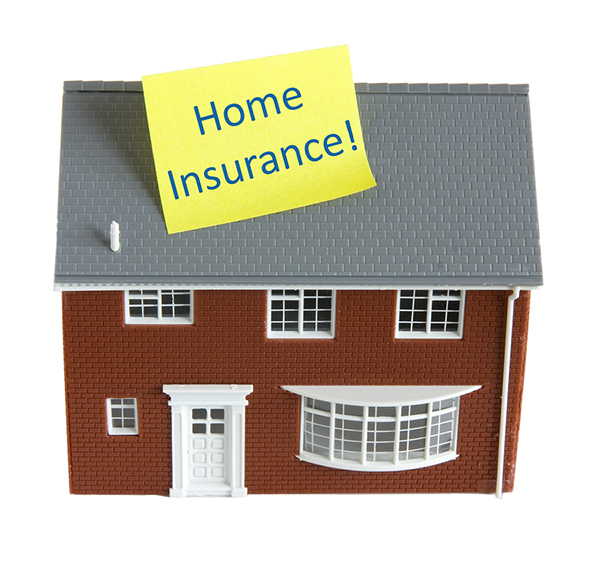 There are types of insurance policies that look at the roof age as one of the insurance claim variables. The age could determine the amount of claim as your property’s value depreciates over time. The bottom line, determine the exact terms so you wouldn’t worry about filing for claims. 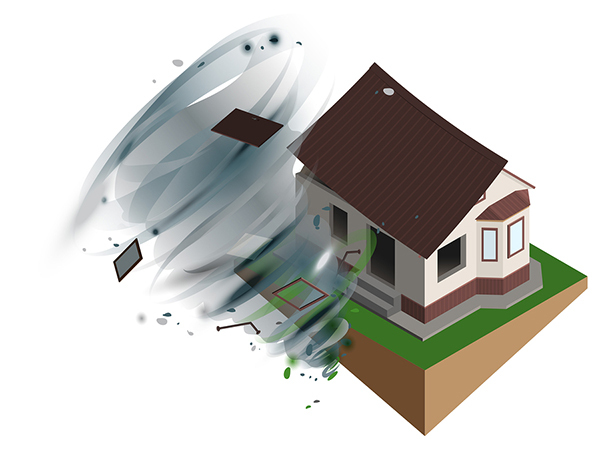 Devastating natural calamities like a strong hurricane can tear-off roofs completely. If after reading through the documents, you still find yourself unsure about your insurance plan coverage, feel free to contact your service provider for a detailed consultation. Ask about the terms and conditions and make sure that they will be able to explain it completely. How to file for a Roof Replacement Insurance Claim? Believe it or not, the insurance claim process starts with you. After being hit by a terrible storm, the first thing you have to do is to observe the surroundings and document the most obvious damages that you can find. For instance, after a hailstorm, look for pieces of evidence such as dents, scratches, punctures, and other marks that could confirm the calamity. 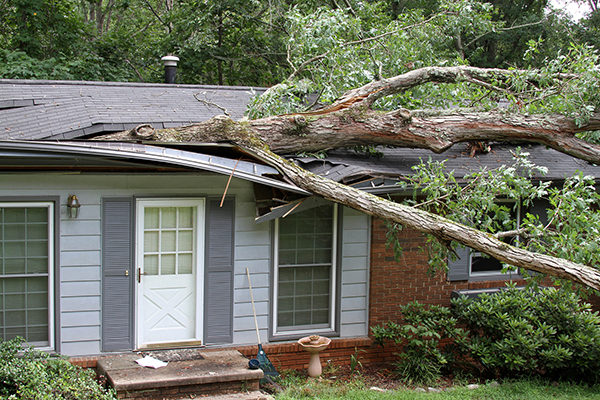 Then, check your roof to initially assess the extent of the damages. In worst situations, you would immediately spot the need for a roof replacement (just like how this fallen tree damaged a big part of the roof). Safety reminder: Natural calamities are extremely dangerous and life-threatening situations. Even when they have passed, they could leave traces behind that are still harmful like fallen debris, hanging branches, slippery floor, etc. Hence, always wait for a clearance from the local authorities to make sure that it’s already safe to step out. And once you have been allowed to go out of your properties, do not ever attempt to climb up your roof to avoid accidents. Report the situation to your local roofing partner. After gathering photos and other pieces of evidence, call a local roofing contractor (preferably an expert in storm damage roofing services). Explain in detail what happened and don’t forget to schedule an urgent site visit/inspection. Coordinate with your insurance service provider. 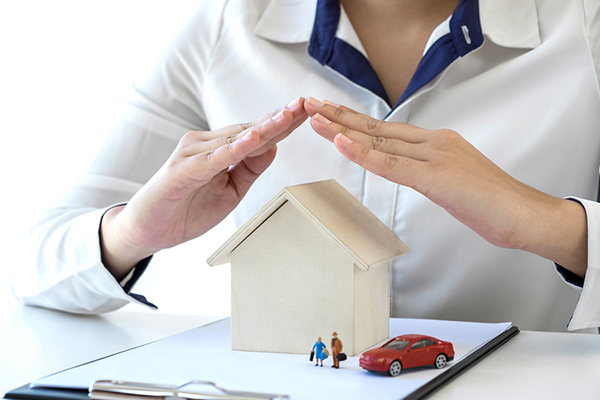 Once the roofing company has confirmed the damages and recommended the property for a roof replacement, it’s now the time to work hand-in-hand with the roofing partner together with your insurance provider. Normally, licensed roofing companies are already familiar with the system so they could go ahead and talk to the insurance provider to discuss the extent of the damages and the corresponding coverage. Finalize contracts and sign agreements. The insurance company will now prepare your roof replacement claims in accordance with existing terms and conditions. Should all the parties come into a final agreement, they should all sign a contract before any construction begins. Roof replacement construction. When all the documents are signed, the roofing contractor can already start with the construction right away especially if it is an emergency roof replacement. What’s Not Covered in a Roof Replacement Insurance Claim? While roof insurance is extremely important, it’s also equally valuable to take care of your roof the right way. As much as you can, prioritize the health of your roofing. When the time comes that you’ll be needing to file for an insurance claim, it helps that your roofing is in good condition prior to the destructive incident. It makes the process faster and less complicated in terms of damage assessment as the contractors can focus on the storm damage rather than on existing issues. At the end of the day, a well taken care of roof will serve as your security blanket. How to prioritize your roofing’s health? You can do this by simply following recommended preventive maintenance procedures. Work with a trusted local roofing contractor to identify the specific needs of your roofing. They can also give you industry-based insights on how to keep your roofing safe, sturdy, and beautiful. Yes, we couldn’t avoid or stop natural disasters but you have to ability to protect your roof from potential threats. Do You Have Other Insurance Roof Replacement Questions in Mind? For sure, you still have your personal worries and dilemmas about roof replacement insurance. We perfectly understand as we know that your roofing is your pride and joy as a homeowner. As we have mentioned, there are things we can’t control particularly when it comes to natural calamities. However, you shouldn’t wait for these destructive phenomena to happen before you even realize the importance of your roofing. To make sure that it has better chances of withstanding terrible storms, you have to maintain it according to industry-set guidelines. Like humans, roofing has needs that we need to fulfill. These would include cleaning, maintenance, inspections, minor roof repairs, and other services that we should seek professional assistance for. Find a reliable roofing contractor that can take care of your roof like it’s their own. Don’t be afraid to ask your insurance company if you are unsure about the coverage. Give your roofing the proper care it deserves so that it may serve its purpose longer than expected. Need help with your roof replacement insurance claims? Worry no more! The Ranger Roofing of Oklahoma team is ready to assist you. Call us and we will be there to restore your roofing into a good condition: 918-347-4215.